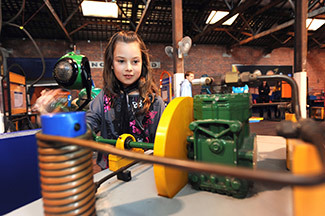 In addition to Central Deborah Gold Mine, Bendigo Tramways and the Bendigo Joss House Temple Temple there are a lot of other attractions in Bendigo that have an educational offering for school groups and cover a range of subject areas including science, nature, art and sustainability. It is well worth considering staying overnight or for two days with your students to get the most out of your Bendigo experience. Visit our Suggested Itineraries page for ideas of how you can package these experiences for your group. Experience: Bendigo Art Gallery is a unique learning space that provides the opportunity for educators and students to explore the development of the visual arts and gain insights into Australian history, the environment and the nature and growth of Australian society. The education team provides students and teachers with a wide range of tours, workshops and resources that link with many F-10 Curriculum, VCE, VET and VCAL outcomes.Workshops and tours include: New art workshops, The Language of Landscape and Let’s look back, Australian people and places, among many more. Cost: $5.00 - 6.00 per student. Craft activities extra. 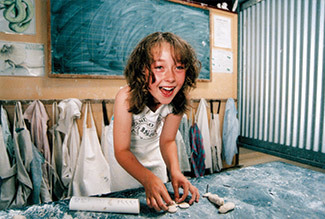 Experience: Established in 1858, Bendigo Pottery is Australia’s oldest working pottery. A fascinating museum has been built around the historic kilns, and offers an experience that takes you back in time to learn more about pottery production processes, machinery, working conditions and traditional skills. Your students will love creating their own clay masterpieces onsite with guidance from an expert potter. 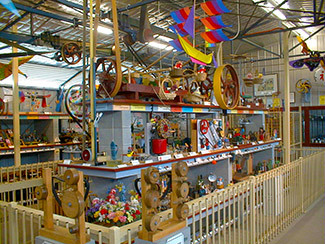 Bendigo Pottery offers a diverse range of themes relating to art, history and society. Activities include, wheelthrowing demonstrations, wheelthrowing lessons and clay play. Cost: $9.50 - $15.00 per student. Experience: At Discovery students will explore the fascinating world of science through puzzles, riddles, experiments, physical challenges, illusions and interactive displays. They will have so much fun they won't even realise how much they are actually learning! Explore over 100 exhibits, tour the cosmos in the Bendigo Planetarium, plummet down the Vertical Slide, become an expert problem solver with an Inquiry Workshop, or throw on a lab coat and explore scientific phenomena in The Lab. Spend a night at the musuem with a Discovery Sleepover. Experience: Confectionery Capers has to be seen to be appreciated! It challenges people to think laterally and creatively with hundreds of mechanical and language displays which have hidden or oblique meanings and only reveal themselves with the press of a button or the interpretation of a caption. Celebrates the wheel as man's greatest invention. Explores the quirky but fascinating nature of the English Language. Experience: Ironbark has a large range of horses, from Sally the old faithful who is great for kids and beginners to Max which will keep the experienced riders on there toes. Ironbark is fully insured and safety helmets are provided. 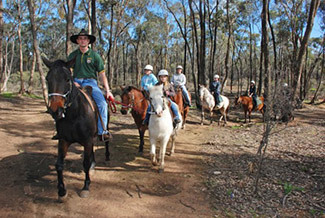 Enjoy the beautiful bushland setting of the Ironstone Reserve and the many tracks and trails of the Whipstick State National Park, whether it's an early morning stroll or a late afternoon canter into the sunset. 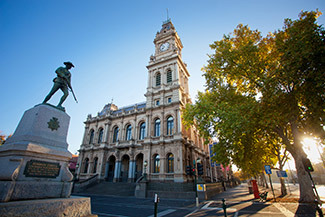 Experience: The historic Bendigo Post Office, built in 1887, is now home to the Post Office Gallery as well as the Bendigo Visitor Centre and the Living Arts Space. 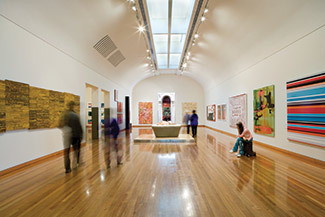 Established in 2010, Post Office Gallery is a satellite exhibition space of Bendigo Art Gallery providing an engaging platform for the interpretation and display of the myriad social history stories of the city and surrounding region. Post Office Gallery has a changing annual program of curated exhibitions and events ensuring a broad and dynamic exploration of the region's varied history. Visit their website to see their current exhibition schedule. Experience: Tours, programs and activities are available on request and are offered at various pre-school, primary, secondary and tertiary levels. Programs include Curator walks and talks focusing on the history of the gardens and future development. Primary school tours focusing on Environmental Sustainability, waterwise plants and growing your own food. Natural environment based tours focusing on the role of water in the landscape, the ecology of the billabong, revegetation techniques and the flora and fauna of Bendigo. 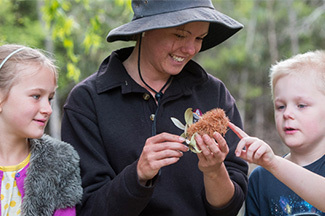 Animal based tours about the birds of the aviary and animals of the Bendigo Creekn Specialist tours for differently abled groups and those with sensory impairments. Landscape design studies focussing on projects we've completed in the gardens. Experience: Bendigo’s Ulumbarra Theatre rises majestically from within what was once the Sandhurst Gaol. 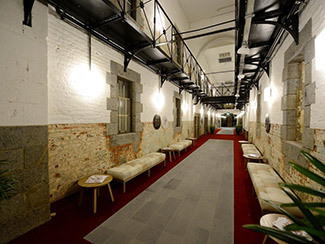 Discover the symbiotic fusion between 1860s penitentiary architecture and clever contemporary design to create an extraordinary arts and community facility. Our knowledgeable guides share the stories of inhabitants old and new, while exploring this world class performance facility. Constructed in the early 1860s, the gaol was based on the Pentonville prison model where the wings radiate from a central tower. Your guide will explore spaces throughout this facility, telling the tales that once remained behind the walls. Experience: Great evening activity! Enhance your physical education program. 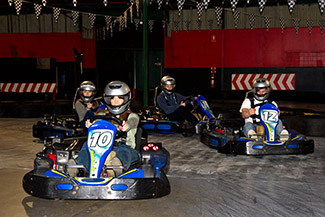 The Zone's activities are suitable for physical education classes, team building exercises or just a fun day out for all ages. Skating: Learn to skate lessons and inline hockey sessions tailored to meet your phys ed program requirements. Laser Tag: Fun, fitness, strategy, technique and team building! Depending on your groups requirements there are options for both solo and team games. Mini golf: Students can enjoy the challenge of our 18 hole mini golf course whilst developing their golfing skills. 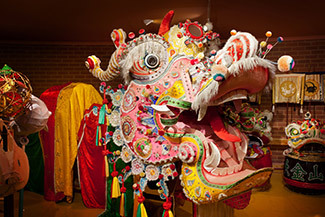 Experience: Experience one of Victoria's largest cultural attractions. The Great Stupa located just outside of Bendigo, is the largest Stupa in the Western world. 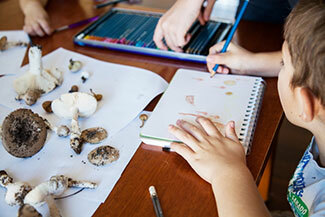 It offers an educational and fun excursion for school children of all ages. Students have the opportunity to learn about Asian culture, meditation and wellbeing, Buddhist faith, garden and landscaping, architecture and art. Tours can be tailored according to your schools social and academic curriculum. 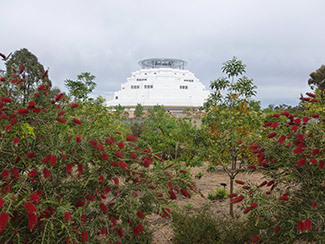 A tour includes: viewing our 5 minute introductory DVD, presentation on the current stage of construction and future plans for the site, an introduction to Buddhism - with questions and answers, a guided tour inside the Great Stupa and the gardens, and viewing of artworks and Holy objects. Experience: Originally serving as a Chinese market garden and in later years a plant nursery, PepperGreen Farm has bloomed into the 21st century as a social and training precinct featuring it’s very own nursery, produce garden, farm kitchen, heritage tram and artisan studios. PepperGreen Farm offers school groups different lessons under the following frameworks; Farm Kitchen Lessons, Biodiversity and Cultural Lessons or Chinese Heritage and Culture Lessons.